• Target the right audience. The local paper’s average of £22! No other advertising medium reaches as many people, as often, at such a low cost. rickshaw outdoor advertising so engaging, compelling and most importantly memorable. • Audiences in spending mode. Pedicab outdoor advertising in Central London is one of the most visible media to everyone who leaves home to work, shop or play. Advertise to your customers when they’re in an active state of mind and in spending mode. • Advertising with impact is all about being seen by as large a target audience as possible. 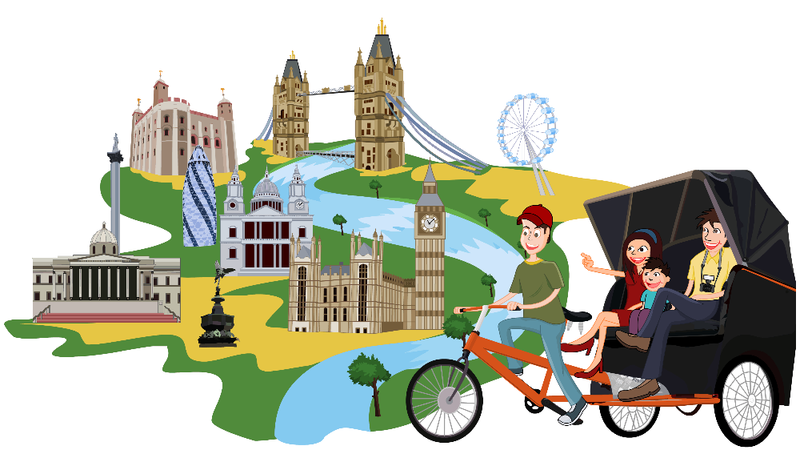 Our rickshaws operate in Westminster and surrounding areas. We provide branded rickshaw advertising service for all over the UK! 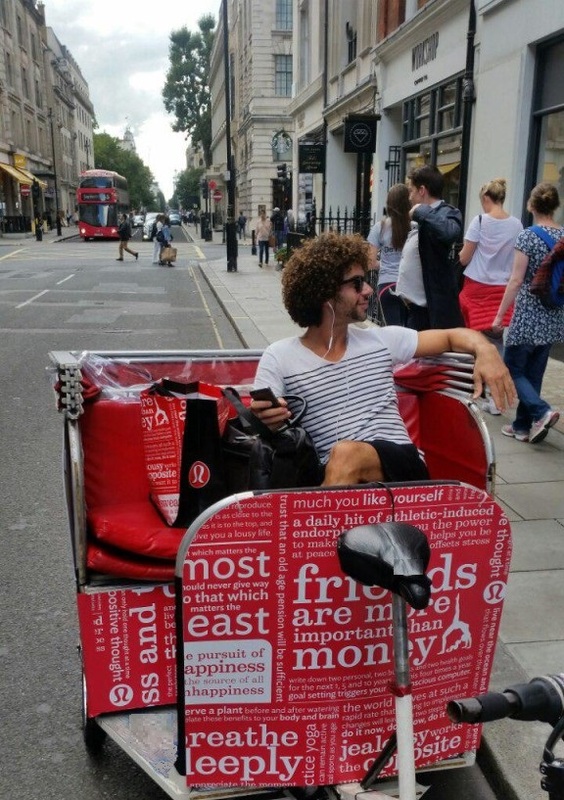 London rickshaws can be hired for many different media campaigns. You can advertise your products and services on our bicycle rickshaws, Advertising on Rickshaws proved to be very effective for businesses advertising needs. You can hire the rickshaws for film shots, our rickshaws have been used for many film shots. Sometimes in front of the camera sometimes behind the cameras. Rickshaws are hired for experiential marketing campaigns, promotional Events, store openings, weddings,hen/stag nights, birthdays, anniversaries and transportation needs.